The Plečnik Collection is kept at a separate location of the Architecture Museum of Ljubljana, consisting of a complex of Plečnik’s houses at 4–6 Karun Street and an adjacent garden with a lapidarium. The architect Jože Plečnik moved to a single-storey house at 4 Karun Street in 1921. From 1923 to 1925 he expanded it with a cylindrical annex to the west and a winter garden to the south after he bought the neighbouring building in 1929. Here the unconventional master lived in isolation and privacy until ripe old age. After Plečnik died in 1957, his nephew Karel Matković moved to the house and began to sort out the large collection of the master’s plans and correspondence. Thanks to him, Plečnik’s valuable legacy has been completely preserved. When Matković died in 1970 his heirs decided to sell the house and its contents to the City of Ljubljana. 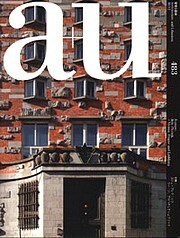 Two years later the city authorities established the Architecture Museum of Ljubljana at the building. On 1 April 1972 the Architecture Museum of Ljubljana based at the Plečnik House opened its door to the public. It remained there until 1992, when most of its departments moved to the renovated Fužine Castle. The Plečnik collection was arranged and made accessible to the public in 1974. The house contains rooms with the artist’s valuable original furniture and personal objects, an archive of his sketches and plans and a collection of clay, plaster and wooden models, a library, Plečnik’s correspondence, a photo archive, thesis projects of Plečnik’s students and an archive of “Ognjišče akademikov arhitektov” (Academy of Architecture Collection). Today, visitors can see the entrance hall, corridor, kitchen, bedroom, bathroom, small reception room, spiral staircase, the master’s studio on the upper floor and the winter garden. Because of the exceptional circumstances and the intimacy of the location, visits to the house are possible only in the form of a guided tour for groups of not more than seven people. A reception area for visitors was arranged on the ground floor of the building at 6 Karun Street in 2001. Collection storage facilities are located on the first floor.